The following mainly refers to the Waldmeister distribution which you can download. You can also just try out Waldmeister with a web form we provide. The language of Waldmeister consists of equations that are considered as implicitly universally quantified over their variables, whereas existential quantifications have to be expressed via skolemization. Details you could find in an introduction to logics for computer scientists. Waldmeister is an automatic prover. To show its use, we start with a relatively simple example. For a short explication on how Waldmeister works see the implementation section or the references with further reading. Now that we have translated the problem and the properties of a group in an appropriate language which Waldmeister will understand, we still need to "feed" Waldmeister with the equations we got. In addition, Waldmeister needs a few more informations about what we want him to do and how. To give these, we put together an input file with the following elements. A correct Input file for Waldmeister could look like this. You can call Waldmeister giving it the name of the inputfile as an input parameter. In section NAME, a name for the subsequent specification is given. Note that the character "%" declares the rest of the line to be a comment. The section MODE contains one of the keywords PROOF and COMPLETION to determine what to do with the specification. PROOF denotes the ordinary proof mode, whereas in completion mode Waldmeister tries to derive a finite convergent set of rules from the specification and - if successful - decides if the conjectives hold. In section SORTS, the identifiers of the sorts the operators shall work on and the variables may belong to are declared. In the following, none but these sort identifiers may be used. The signature Waldmeister accepts is many-sorted. There are no sort hierarchies, and all sorts are considered disjoint. Section SIGNATURE contains the declaration of identifiers for operators, i.e. functions and constants. Also, the argument sorts and the single target sort are stated. In this example, i:ANY->ANY means: the function symbol i takes an operand of sort ANY and yields an element of the same sort. In section ORDERING, a reduction ordering to orient rules with is specified: either a lexicographic path ordering ("LPO"), based on an operator precedence, or an extended Knuth-Bendix ordering ("KBO" with a weight for each operator and an additional operator precedence for the comparison of equally weighted terms. For mode PROOF, the precedence has to be total. In section VARIABLES, identifiers for variables are declared along with their sorts. Section EQUATIONS contains the axioms defining the equational theory. Note: Vice versa to section EQUATIONS, variables are implicitly existentially quantified, and universal quantification must be expressed via skolemization. Existential quantification is allowed in proof mode only, and for not more than one hypothesis. A system header appears, and Waldmeister prints out a protocol of the proof process on the level of selected facts (rules). Waldmeister proves all hypotheses and terminates (proof mode only). Waldmeister derives a finite ground convergent set of rewrite rules, which is used to normalize the hypotheses. Validity is now equivalent to joinability. Especially, this is the only possibility to show that an equation s=t does not hold in all models of E! The prover fails due to insufficient memory. The prover does not produce anything useful within reasonable time. With flag "--auto" set and fairness lost, Waldmeister runs out of critical pairs. More precisely, in all three cases no conclusions concerning validity of yet unproved conjectives may be drawn! Similarly, a finite ground convergent set of rewrite rules that is oriented with the specified ordering and is equivalent to the initial equations might exist nevertheless! within hours may be found within milliseconds when changing from KBO to LPO or vice versa, or changing the operator precedence in case of LPO! The question of how to make this choice skillfully is difficult to answer. Roughly speaking, the Knuth-Bendix ordering leads to shorter simplification chains, and should be preferred in general. In the presence of a distributivity law, however, it is often useful to apply that law for splitting product terms, which requires the use of a lexicographic path ordering with a precendence where the multiplication symbol is greater than the addition symbol. Generalizing this proceeding, you should always make a selection which orients the initial equations in a way that seems natural to you. Finally, Skolem constants should always be minimal in the precedence. You might want to read a more in depth description of Waldmeister's abilities. Here only the rules that where used are mentioned. 1 goal was specified, which was proved. Waldmeister states, that the goal number on, f(e,sk)=sk, is proved. The question marks states that this is what has to be proved. Waldmeister also tells you some statistical facts: how many rules, how many equations, how many critical pairs had to be created until the proof whas found. Finally there is a third program, created by Stephan Schulz, used to produce a human readable proof. In outline, the task Waldmeister deals with is the following: A theory is formulated as a set E of implicitly universally quantified equations over a many-sorted signature. It shall be demonstrated that a given equation s=t is valid in this equational theory, i.e. that it holds in all models of E. Equivalently, s is deducible from t by applications of the axioms of E, substituting equals for equals. 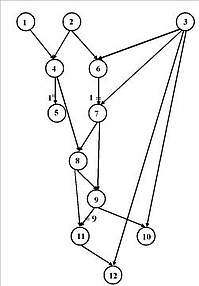 In 1970, Knuth and Bendix presented a completion algorithm, which later was extended to unfailing completion, as described e.g. by Bachmair et al. Parameterized with a reduction ordering, the unfailing variant transforms E into a ground convergent set of rewrite rules. 1. Select an equation from the set of passive facts. 2. Simplify this equation to a normal form. 3. Modify the set of rules according to the equation. 4. Generate all new critical pairs. 5. Add the equation to the set of rules. The selection is controlled by a top-level heuristic maintaining a priority queue on the critical pairs. This top-level heuristic is one of the two most important control parameters. The other one is the reduction ordering to orient rules with. There is some evidence that the latter is of even stronger influence. The executable named "proof" should be located in the same directory as the Waldmeister executable. If Waldmeister fails in calling it, this directory should be added to the path variable of the shell. Stephan Schulz has written a tool named "lemma" with many possibilities to control the processing of the proof. This tool is included in the Waldmeister distribution as well. It takes the step-wise internal proof object as input. Call "lemma -h" for an online documentation (German language only). Together with the Waldmeister distribution comes a set of problems yopu could use to test Waldmeister's abilities. Namely the unit equality problems of the TPTP (Thousands of Problems for Theorem Provers) Problem Library, version 2.4.1, in Waldmeister format is included in the Waldmeister distribution. Of course, the complete library also has tools for automatic conversion to Waldmeister format, but this increases your ease of use, especially if you have not installed a Prolog interpreter. - For an overview, you also get the current TPTP ReadMe file.